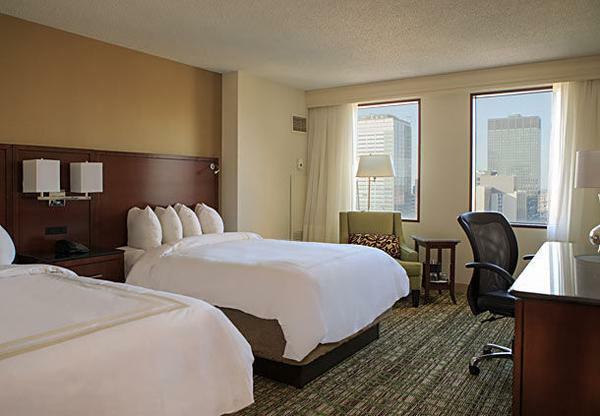 This 25-story, downtown hotel is a 7-minute walk from the Kringle’s Inventionasium® Experience, Jack Casino Cleveland and a 14-minute walk from the Rock and Roll Hall of Fame. Experience style and sophistication at the revitalized Cleveland Marriott Downtown at Key Center, an ideal location for meetings and gatherings of any size. Offering stunning views of Lake Erie and the breathtaking city skyline, this 25-story Cleveland hotel boasts 400 guestrooms with sleek furnishings, an indoor pool and fitness center. This hotel in downtown Cleveland is located steps from the Cleveland Convention Center and Global Center for Health Innovation. For casual dining, relax among warm wood styling at Jake’s sports lounge or taste contemporary American cuisine at David’s Restaurant, situated within this Cleveland, Ohio hotel. 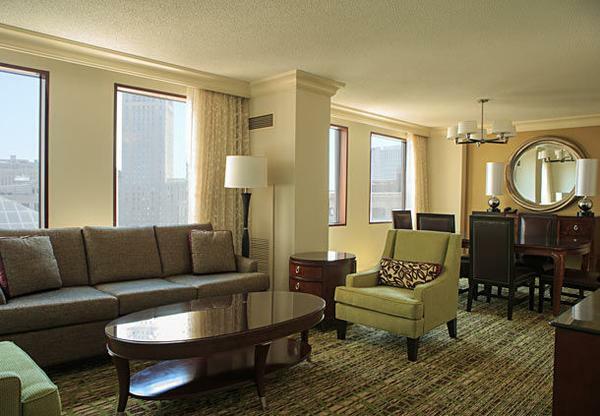 Rediscover comfort at one of the premier hotels in downtown Cleveland, the Cleveland Marriott Downtown at Key Center. Upscale rooms have flat-screen TVs, mini-fridges and coffeemakers, plus desks and free WiFi. Some feature lake views, and suites add conference rooms and/or separate lounges with sofas. 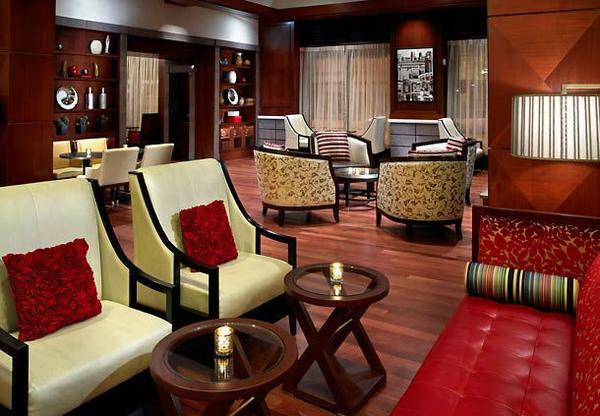 Club rooms and suites have access to a lounge with free continental breakfast and appetizers. Amenities include a sports bar and a modern American restaurant, as well as an indoor pool, a sauna and a fitness room. There are also 18 meeting rooms, including a ballroom, and a contemporary lobby lounge with TVs.